Of course, not all of the Avengers are taking this lying down. It quickly becomes clear that despite the team’s overwhelming loss on Earth, they’re ready to do “whatever it takes” to explore any slim chance that those people who were blinked out of existence might be brought back. And thus, we see all our group preparing to go into space (or the Quantum Realm? )—presumably to take the fight directly to Thanos. From Captain America and Black Widow to Ant-Man and even Nebula, they’re all there. This trailer also gives us a few glimpses at other things that will get the MCU-lover’s blood pumping. There’s some more footage of Hawkeye and his tousled new mohawk. There’s Rocket Raccoon, perched on the shoulder of War Machine. 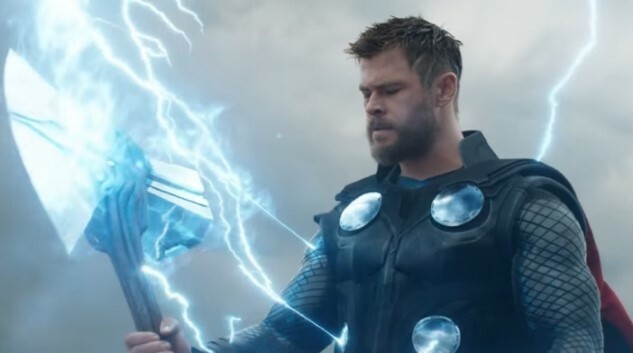 And there’s several shots of newly anointed box office smash Captain Marvel joining the team, and apparently impressing Thor immediately in the trailer’s stinger. It will be fascinating to see how Brie Larson’s character meshes into this well-established universe as it closes out a decade-long arc toward the end of the Infinity Stones story. Sure, we already know that the likes of Black Panther and Spider-Man will be returning, but let’s just pretend the outcome is still in doubt, okay? Avengers: Endgame hits theaters on April 26, 2019, in what will likely be a record-breaking opening weekend. Check out the full trailer below.